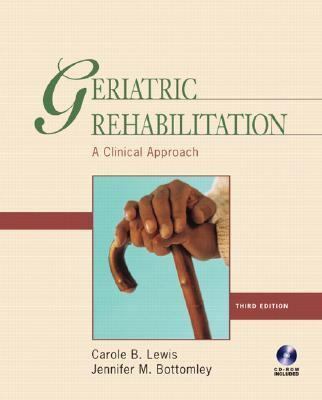 "This completely updated third edition of Geriatric Rehabilitation provides a comprehensive look at the specific needs of elderly patients and the practical components of their rehabilitation. The new reader-friendly format and improved illustrations enhance the overall learning experience and help to clearly convey the essential theoretical and clinical points." --BOOK JACKET.Bottomley, Jennifer M. is the author of 'Geriatric Rehabilitation A Clinical Approach', published 2007 under ISBN 9780131708266 and ISBN 0131708260. Loading marketplace prices 13 copies from $2.65 How does the rental process work?